Here we have the classic R107 early 1970’s model, offered for sale for the first time in 23 years. The previous owner has spent thousands on restoration in his ownership. The underside of the car looks just as good as the top. A new business venture meant that the car was carefully placed in storage around 1997, It was kept in a very dry garage, hence the condition today. The car is in excellent condition all round, the body is very straight and the car is completely rust free. The brakes have been fully rebuilt, refurbished calipers, new brake lines, refurbished radiator (as new condition). All Original. 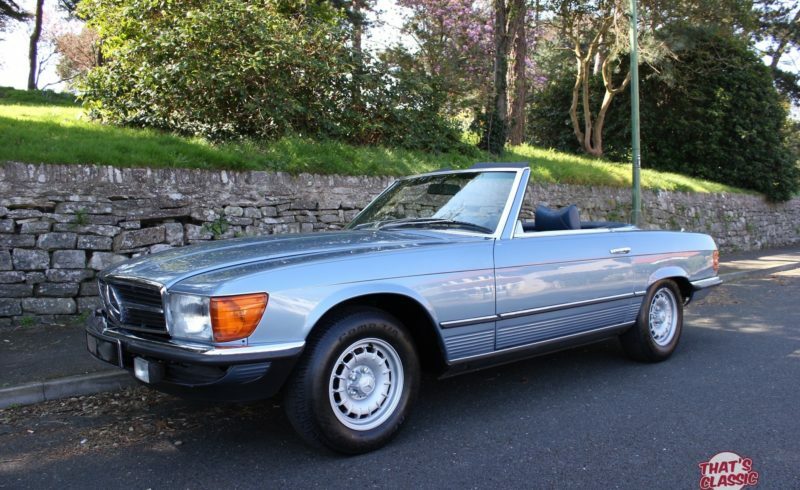 Very desirable early model, being a 1973 means it is Tax Exempt. The car drives absolutely beautifully, very smooth, great response from the steering which can be vague in the 107’s if not properly maintained. Perfect gear change on the Auto box. The car comes with 12 Months MOT valid until April 2018, Tax Exempt.